A free wordpress theme based on Bootstrap framework. 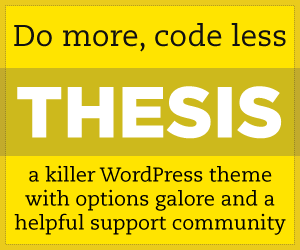 This theme demostrates, one more time, WordPress is not only made for blogging. Responsive layout – Minimable is optimized for mobile devices like smartphones and tablets. Built with bootstrap – Based on the framework of the moment, Bootstrap. So you can extend Minimable with its features. Scrollable – It uses Superscrollorama jQuery plugin, with great effect when you scroll pages. The Staff – A page with tab layout where you can put member’s staff. This page template can be used for several purposes. The Gallery – A great gallery with a responsive light box plugin built in. Portfolio – A section where putting your works with a photo, a description and a link to work. Contact – Address, phone number, email, social network and contact form. Isn’t it enough? Browser Compatibility – IE8+, Firefox, Chrome, Opera and Safari. In Internet Explorer 8 not working border radius, will fix on next release. Update notifications – Stay updated with future versions of Minimable, directly in your WordPress dashboard. Well documented – All you need to use Minimable in the best way. Fedeweb is found by Federico Pian who is an italian freelance web designer, front-end and wordpress developer. Minimable is his last creation. Really great theme–very different than other WordPress themes out there. And free! Do you know where I can get support though? My gallery doesn’t seem to play nice. Thanks! You can get support via https://twitter.com/fedeweb. Any ideas on how to get the menu to work when using WP 3.7.1? I have done it (again) all according to what the support page states, but I get no menu on top when scrolling down. Not sure what the issue might be. The first item is obviously called “#home” with the active home-link as a CSS class and then I have added all my other pages after that, all with the # tag in front of the page name. I have also tried with #page-1 etc but that does not work either. I am all wrong here or is there a bug? I am using Wp 3.7.1 with minimable version 1.5.3.
or get support via https://twitter.com/fedeweb. How do you get the [color] thing to work? My page works overall nice and good, but the text on the “start page” does not display in various colors no matter how I try to use the [color] “code” for it. Any suggestions? Hello, what do you mean by [color] “code”? I cannot get my site to display the color correctly. Do you know how? I am trying to use [red], [color red] etc, but no matter what I do, it does not display correctly. I mean, how do you otherwise get various colors on the text? if there is a different way, please let me know. Would you please provide your site URL? Sorry, but no – cant do that since I am working on it on a localhost (Win 8 + WAMP). But if you know how to use the “code” itself then please let me know. Is it supposed to be used like this or not? The code is right, but just for the Slogan not for all text. But ive got a big issue: i set slogans on the home-page, but they just dont show up when i display my page. I did everything as it is shown in the doc. I set a menu with #page-1 etc. But it just dont work. The bubbles/circels are working fine, but the slogans cannot be displayed. Hello, please get support via https://twitter.com/fedeweb. Thanks! Hi! I’m unable to use iframes with this theme. Whenever I use an iframe, it just screws up the whole site, including the scroll effect and the mnu bar. I’ve enabled iframe in wordpress, tried using an iframe plugin too, but nothing works. Also, I can’t use html checkboxes with in any of the pages, and that is the reason I had to opt for iframes. Can’t I use html checkboxes somehow?